Update: I’ve written guides on how to do this in Firefox and Safari. 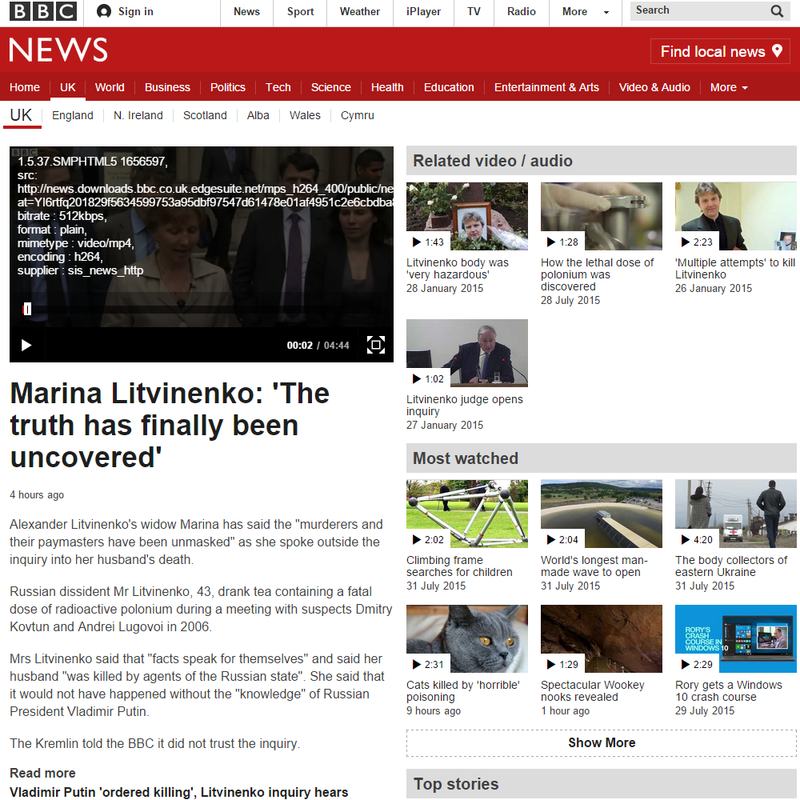 I’ve written about how to block the breaking news banner on the BBC News website, including how to hack it into an anti-procrastination or prank playing tool on all of your devices (at least until HTTPS is rolled out). There is another annoyance on the BBC news website. On a desktop you need Flash Player installed to watch videos. Here’s how to fix that. Many people choose not to install Flash for security reasons. If you’re not using a browser that has it embedded then you can’t watch videos on the BBC News or iPlayer websites. The BBC has long supported HTML5 video (for iOS devices). Yet this is not offered unless you appear to be a mobile visitor. To watch video without flash on a desktop you need to make your browser appear to be a mobile device. You do this by changing the user agent string. This is what the browser identifies itself to the server with when it makes a request. I decided to make my desktop browser appear as an Android device. For some reason using an iOS user agent string caused problems. You can do this with many plugins or the browser developer tools. This is a typical user agent string which works. 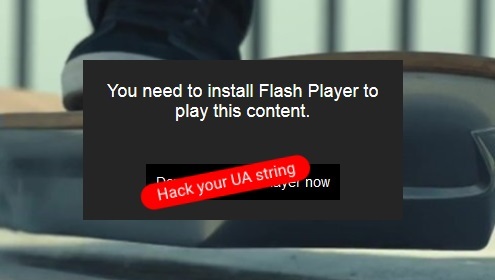 With the stock user agent string the flash player appears. You can tell it’s the flash player because it has a volume control (which goes up to 11). If you right click the player you get a flash menu. Changing the user agent string to identify as an Android device makes the HTML5 player appear. You can tell it’s the HTML5 player as it has no volume control. If you right click the player you get debug information. I don’t think a spinal tap joke is worth putting the flash player first. HTML5 should come first with flash for compatibility with older browsers. The flash player should at least fall back to the HTML5 player if flash is not installed. Not allowing video at all without flash is just exclusionary and not in the spirit of the BBC charter. You should then have the HTML5 player. I’ve just tested this on Chrome 44 and it works great, although obviously not a long-term solution. If you don’t close dev tools you may not notice the new player as the cursor changes to a touch control where you can’t right click. You should notice the absence of the volume control though. What process is involved when using the current version of Firefox as my browser? Do I basically follow the method outlined above?